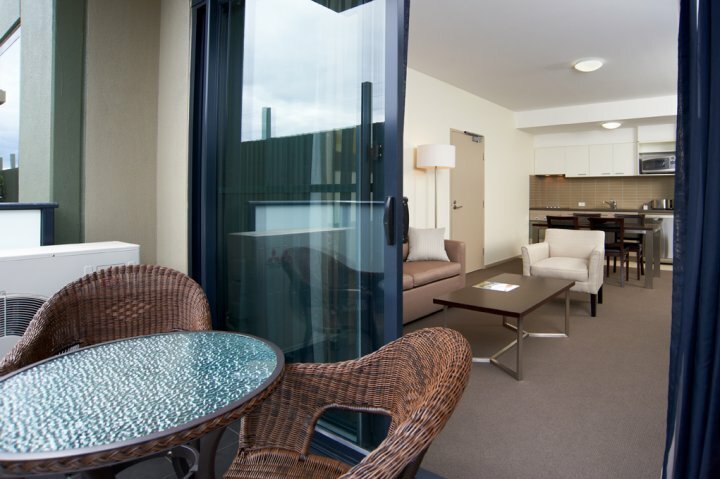 Quest Moorabbin's location is quiet and tranquil yet central to all amenities and easily accessible! 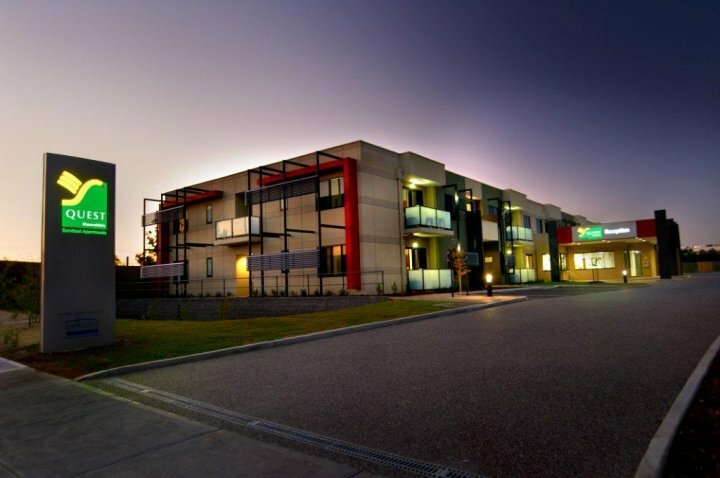 Comprising 60 new fully self contained 4.5 star Studio, One, Two and Three Bedroom apartments, Quest Moorabbin is the perfect choice for both the corporate and leisure traveller. 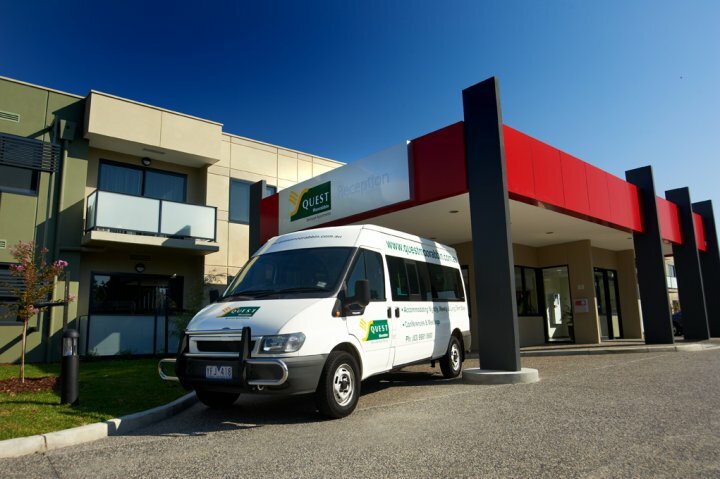 Only 22km from Melbourne's CBD, Quest Moorabbin is conveniently located at 3 Kingston Road, on the corner of Warrigal and Kingston Roads catering for your overnight, short and long term requirements. 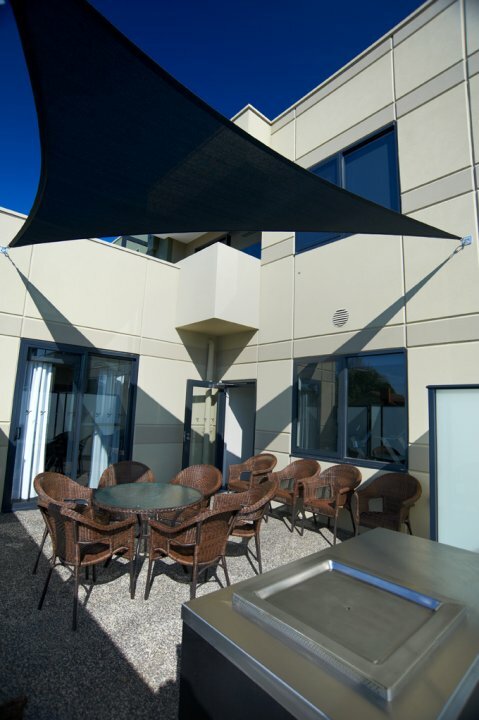 Quest Moorabbin apartments have been stylishly finished to the highest standards. All apartments are modern with fully equipped kitchen and laundry facilities, dining and lounge areas with space to relax and unwind. Foxtel, LCD flat screen TV and broadband internet access with each apartment featuring a desk, catering for the business traveller. All One, Two and Three bedroom apartments will also feature a balcony. 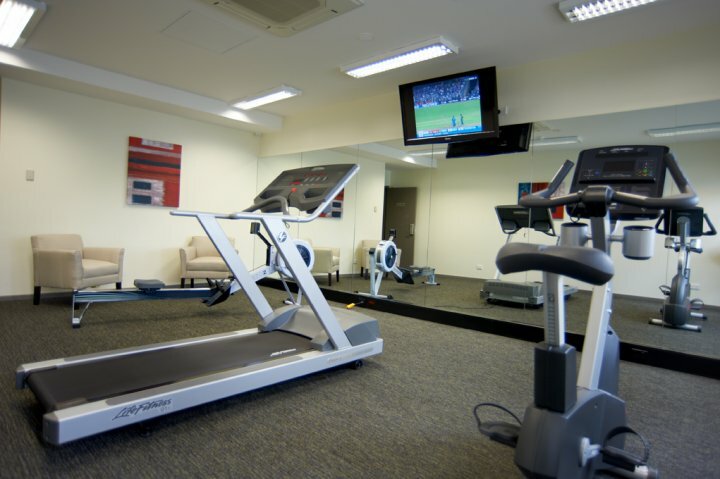 Other features of the property include complimentary use of the gymnasium, on site carparking and a BBQ area. 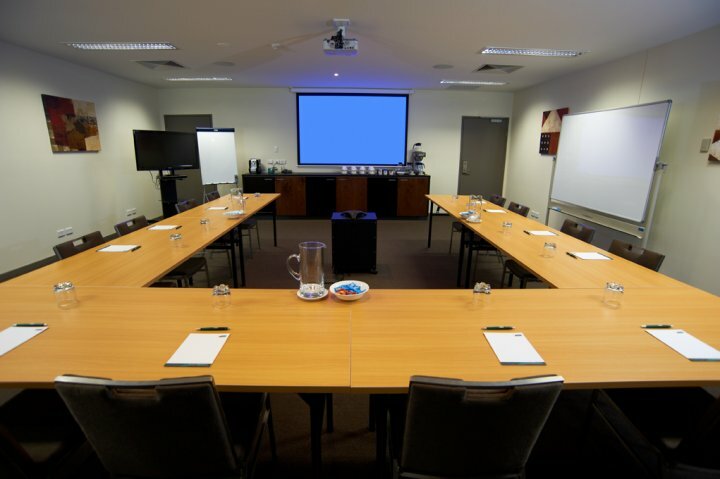 Quest Moorabbin also offers a fully equipped meeting room for all of your meeting and small conference / seminar / training requirements. Catering can be arranged and parking is available for conference delegates. 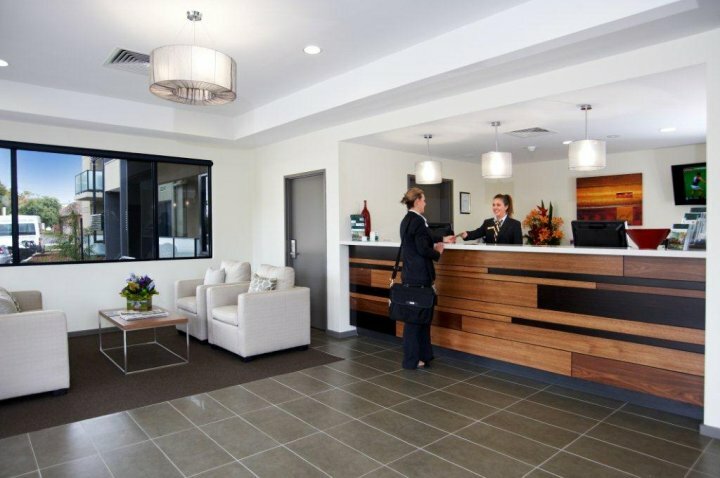 Other benefits of staying at Quest Moorabbin are our range of Quest Services and Facilities including valet dry cleaning, pantry shopping, daily housekeeping (except Sundays and Public Holidays), new release DVD hire and business administration services together with chargeback services at selected local restaurants. Quest Moorabbin also has a dedicated breakfast room serving a continental buffet breakfast plus a range of Breakfast Packs will also be available which can be delivered to your apartment. An ideal alternative to a traditional hotel room, our 1 Bedroom apartments offer a fully equipped kitchen, private laundry facilities, balcony , and a spacious living room. One bedrooom apartments also offer Foxtel, in room safe, LCD flat screen TV, IPOD dock, exceutive desk with access to high speed broadband (charges apply) and reverse cycle air conditioning. (Accommodating up to three guests in a King size bed, or two singles plus a sofa bed for one for an extra $40). Our two bedroom apartments offer a fully equipped kitchen, private laundry facilities, balcony and spacious living areas. All our Two bedroom apartments offer Foxtel, in room safe, LCD flat screen TV, work desk with access to high speed wireless broadband (charges apply) and reverse cycle air conditioning throughout the apartment. (Accommodating up to five guests in either two King size bed, or beds can be split into four singles plus a sofa bed in the lounge for one extra person at $40). LArger than the standard 2 bedroom, our Two bedroom/Bathroom Executive apartments offer two separate fully equipped kitchens, private laundry facilities and two separate bathrooms.Compared to the standard 2 bedroom apartment, the executive apartment is interconnecting (Studio and 1 bedroom) has much larger and spacious living areas plus a balcony. 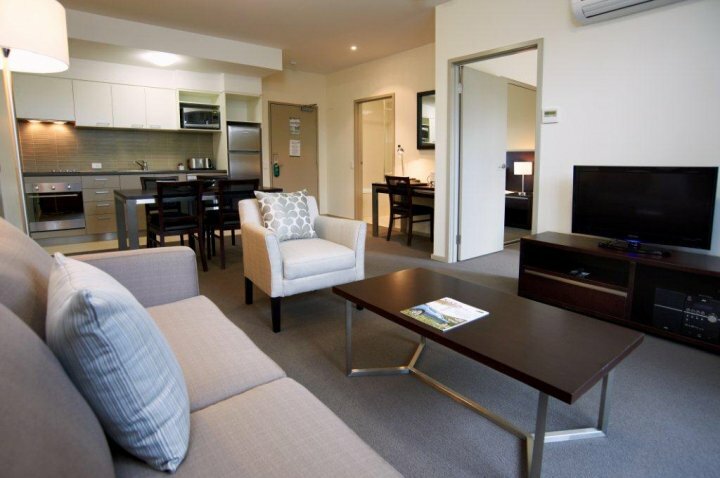 All our Two bedroom executive apartments also offer Foxtel, in room safe, LCD flat screen TV, work desk with access to high speed broadband and reverse cycle air conditioning throughout the apartment. (Accommodating up to five guests in either two King size bed, or beds can be split into four singles plus a sofa bed in the lounge for one extra person at $40). Our 3 Bedroom apartments offer two separate kitchens and three separate bathrooms plus two separate kitchens. Enjoy the space and comfort furnishings including, in room safe, 3 separate LCD flat screen TV's, high speed broadband and reverse cycle air conditioning. (Accommodating up to seven guests in either three king size bed, or beds can be split into six singles plus a sofa bed in the lounge for one extra person at $40). An ideal alternative to a traditional hotel room, our brand new Studio Apartments are spacious and also offer kitchen and laundry facilities, Foxtel, in room safe, LCD flat screen TV, work desk with access to high speed broadband and reverse cycle air conditioning. (Accommodating up to two guests in a King size bed, or two singles). Conference facilities also available - Contact property direct for further details. For afterhours checkin, please contact property prior to your arrival to arrange for an after hours check-in. Extra person charge (1 person or child only per apartment) for a sofa bed extra $40. Located only 22km South from Melbournes CBD, Quest Moorabbin is conveniently located at 3 Kingston Road, on the corner of Warrigal and Kingston Roads. Public transport is close by, with the train station only 3klms away and buss within walking distance providing quick and convenient access to Melbournes CBD. Neighbouring suburbs include Heatherton, Moorabbin, Mentone, Braeside, Dingley Village, Aspendale Gardens, Clayton, Springvale, Huntingdale, Clarinda and Oakleigh.